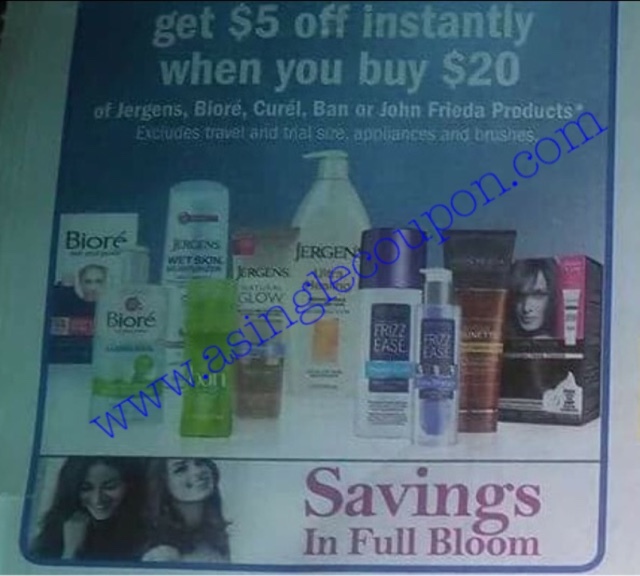 Meijer: Jergens, Biore, Curel, Ban or John Frieda deal! Starting Sunday 7/10 or Thursday 7/14/16! I will update after I walk the store on Sunday!